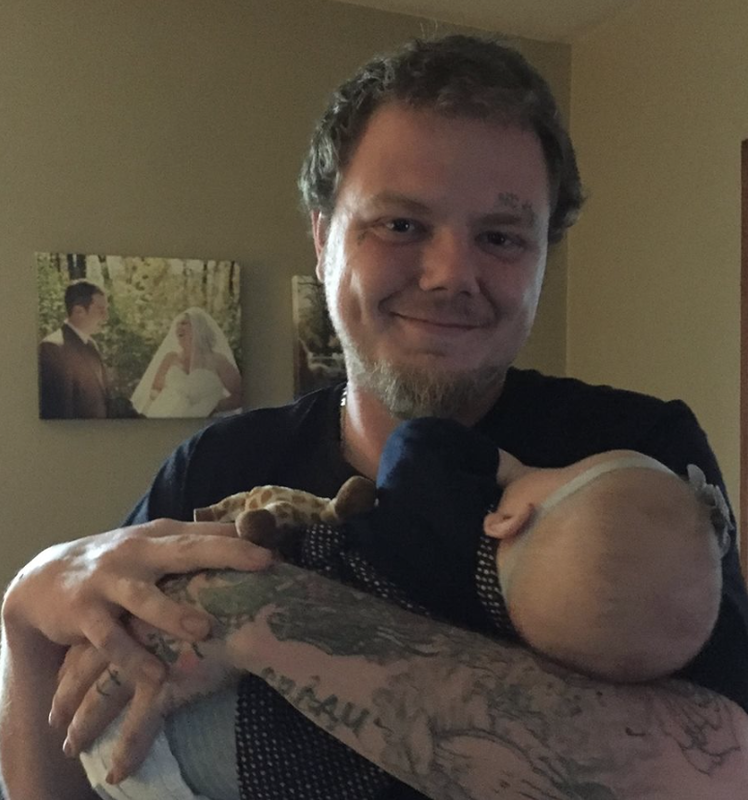 The last image taken of Christopher, holding his new niece. If there were any way I could take away the pain Darlene, my BFF since kindergarten, is feeling, I would. Her heart is broken. In a million pieces. 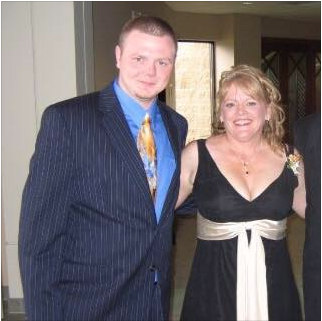 My BFF since kindergarten, my beautiful friend Darlene, and her beautiful son, gone too soon. Christopher Ryan Nauman grew to become a big man with an even bigger heart. In fact, he had one of the biggest, most loving hearts many of us ever knew. Like John Coffey, the character he loved so in The Green Mile, Christopher lived his life vibrating on a different frequency than the rest of us…feeling things more deeply and intensely than we could ever possibly understand. He was God’s instrument, so sensitive and finely tuned…so fragile inside of a body seemingly so sturdy and strong. 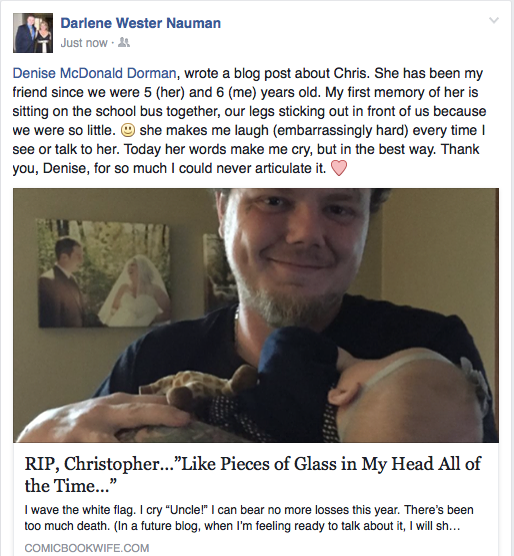 There was never a doubt of Chris’s deep, abiding love for his family and his friends, which knew no bounds. He was loyal to a fault. There were times in his life when those who would prey on loving souls mistook his kindness for weakness. But that was not Chris’s journey. He continued being kind, overlooking their faults. From the time Chris was small, his love for children was obvious to anyone near him. He relished his time with every one of the children in his orbit—Riley, Mazie, Colbie, Teagan—protective and clearly smitten, always playing with the little ones and loving on the babies. Chris was blessed in being raised with family who always saw the essence of who Chris truly was, despite the challenges he faced; they saw the true potential in his God-given gifts. They nurtured his love for reading, feeding him on westerns by Louis L’Amour, adventures by Clive Cussler, and the diverse fiction of Stephen King, informing his vivid theater of the mind. They also encouraged his natural talent for art. Illustration came easily to Chris. 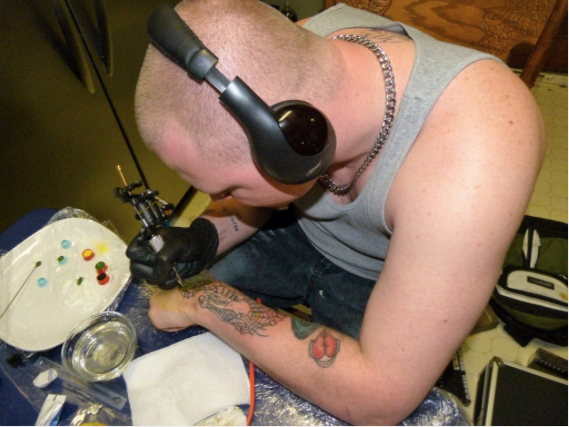 His parents helped him parlay that gift into the imaginative tattoo art that was innate to Chris. We treasure those who forever carry the touch of his ink on their skin. Being outside surrounded by nature gave Chris so much peace; mowing the lawn was the chore requiring the least amount of prodding. One of his favorite jobs was installing piers, since it combined being on the water with being outside, although his fair skin would pay the price at day’s end. 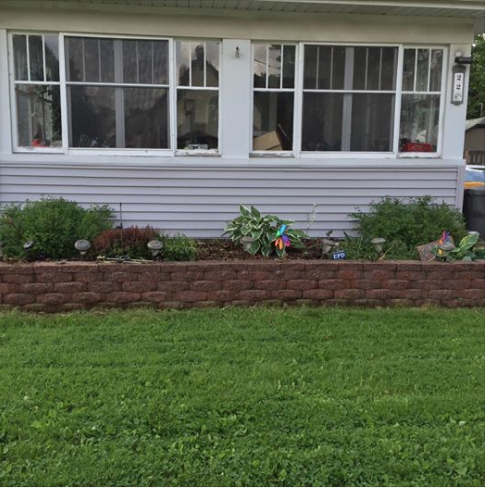 He loved working in the yard, helping Darlene build their brick flowerbeds and plant the gardens in front of their home, working tirelessly alongside her on those ambitious outside projects. The beautiful flower bed Christopher helped build and plant with his mom. Another joy in Christopher’s life aside from music, art, books, and video gaming, was his dad’s cooking. He’d regularly call home and query Robert with “What leftovers do you have?” or “Dad! What are you going to make?! ?” His favorites were Robert’s spicy chili mac and his barbecued pork steaks. If he’d had the luxury of choosing, those would have been on the menu for his last meal. Joining his Uncle Darrell, another gifted artist, we believe–no, we know–Christopher is in heaven, collaborating with all of the artists in residence, making heaven an even more beautiful place. We ask that you pray for each member of our family to heal our heartbreak, and that you always remember Christopher in your prayers. He will hear you. Posted on June 2, 2016 by DaveandDeniseDorman	• This entry was posted in Comic Book Wife, Life Observations, Parenting and tagged Addiction, Bipolar Disorder, Death, Eulogy, Funeral, Grief, Grieving, John Coffey, Mental Health, Parent Losing Their Child, Stephen King, Tattoo Art, The Green Mile. Bookmark the permalink. We are truly sorry! Hugs! Thank you! How are you all doing?